San Juan de los Terreros, this summery paradise, every year takes in thousands of people looking for peace, warm temperatures, harmony and gorgeous landscapes. beach horizon, where you can find one of Pulpi’s icons: San Juan de los Terreros Island. face, it was declared natural area in January 2001.
colours, being home for several animal species, which have made out of it, the most important sea bird nest in the province of Almeria. We can spot specimens of Ashem Pardela and European Paiño, sea bird species that only land to breed. However, it is in the island’s sea depths where you can find its biggest treasures. A great amount of wildlife make part of the biggest sea forest the Mediterranean Sea has: the Posidonia Oceánica Meadows, home for innumerable sea species, such as crustaceans, fish or sea invertebrates. Showing one of the most alive landscapes that can be seen in all the Mediterranean coast. Moreover, this piece of land hides plenty more secrets. Did you know that Terreros island matches mostly with the climate in the Galapagos island? Biologists who study it every year confirm it. That is why, though Galapago surpass in number of islands, they share a big amount of endemic animals, they also have in common many types of sea animals, water temperatures and volcanic origin subaquatic landscapes. The interesting facts about this place are enddles. In te 60’s, a casino was projected to be openned, according to what can be read on the village archives. 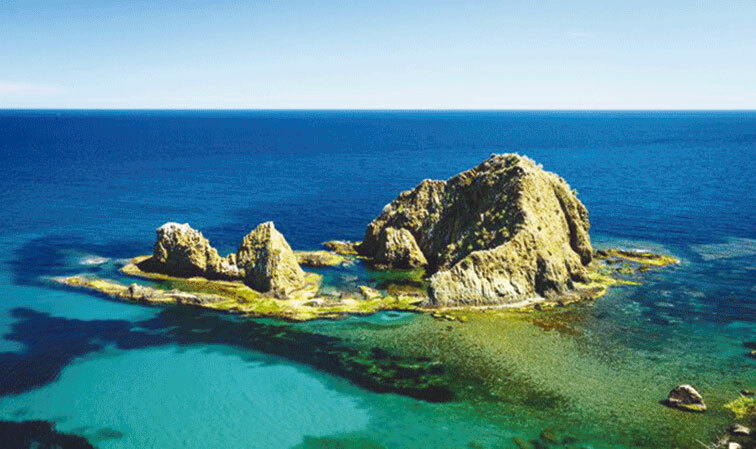 According to expert geologists, it is formed in the Cabo de Gata’s fault and it moves to the east at a speed of 1 centimeter every 100 years. In the 70’s, very peculiar prickly pear could be found in it, as due to water erosion and lack of predators, they did not have torrns on their skin. than one mile away, it is possible to see this natural wonder upclose, you can visit the island on a small boat, as most of the time the sea will be calm. Although, you must keep in mind that you cannot step into the Island without an Enviromental Agency permit. Furthermore, the practice of any kind of fishing activities arround is also banned. It´s everyone’s task to protect island´s wildlife. On the other hand, you can swim, dive and snorkeling arround, being its subaquatic landscapes a real gift for the eyes, giving you the chance to upclosely see its hidden gems, we, Crónica de Pulpi, encourage you to Discovery it in the flesh.